Note the dog pee in the bottom left. Today I tried to dress like a date from the 50's, thinking of Kim McAfee and Winnie Cooper (I know Wonder Years is 60's/70's, but just that whole Winnie and Kevin dynamic, ifyouknowwhatImean). 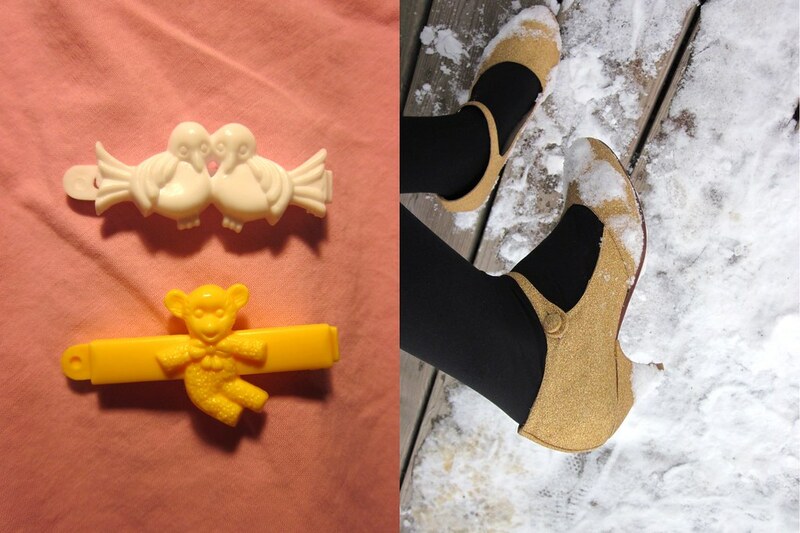 Roller rink, ice cream, lovebird barettes, and how to tie a tie for your fancy date skirt. 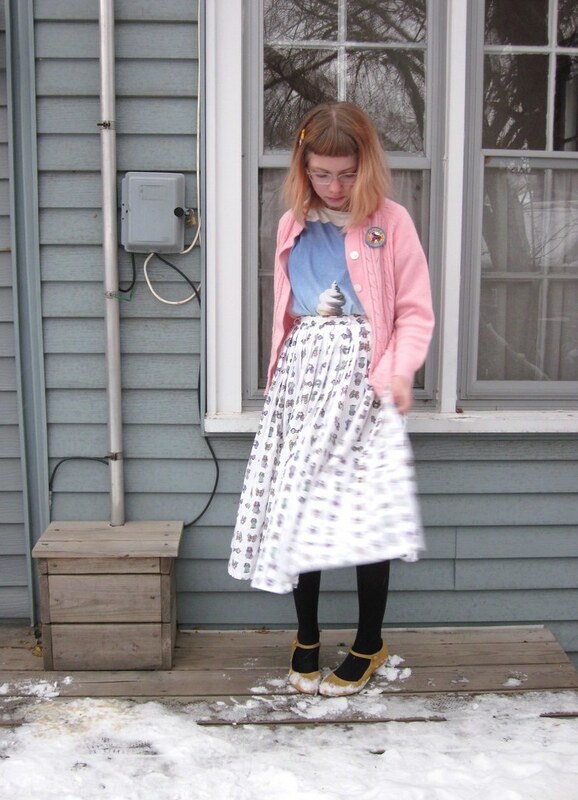 Thrifted sweater, Girl Scout patch from troopmoore on ebay, Blood is the New Black tee, and skirt fr0m the 50's sent to me by PollySue's Vintage. 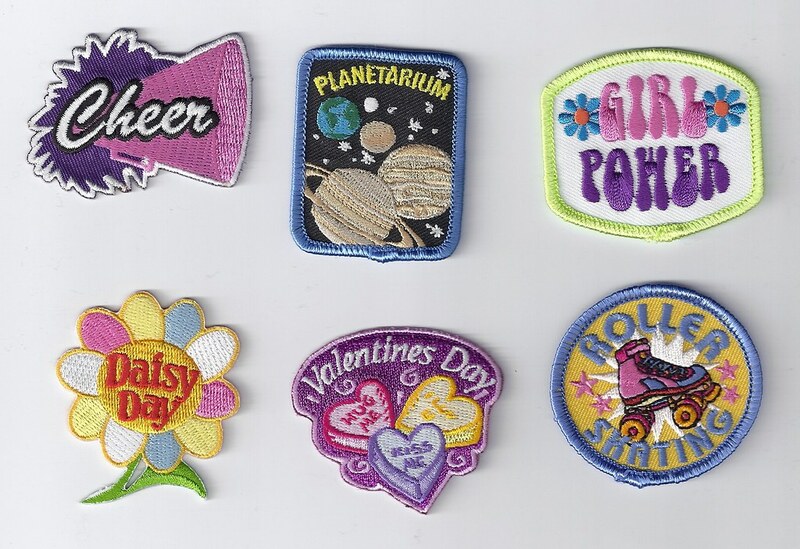 I went on an insomniac's ebay rampage the other night, searching vigorously for girl scout patches as inspired by the hand-me-down sweater I wore last week. I had forgotten I'd bought them til they came the other day. It was very pleasing, and I concluded that I make good decisions late at night. I wish I'd also gotten the Pancake Breakfast and Random Act of Kindness ones, but my need for cheese is covered by the Girl Power in the upper right. 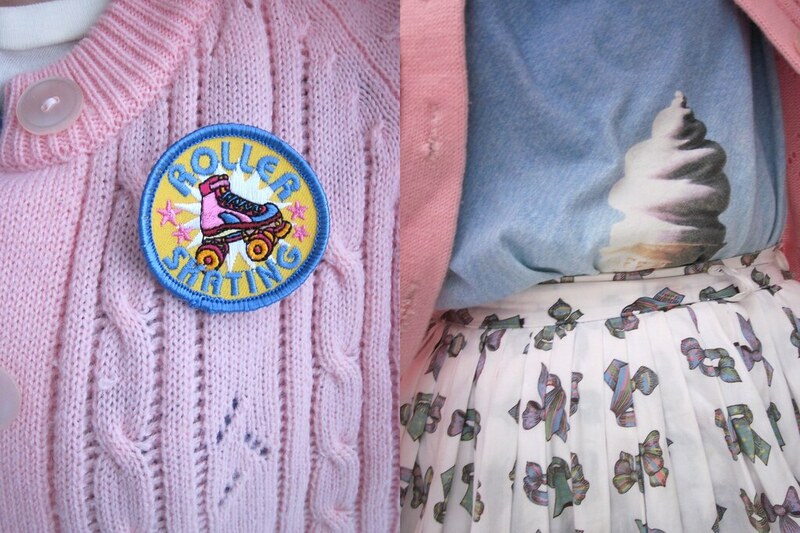 Also, did you know there is a Girl Scout patch for basically every occasion imaginable? At a certain point I was expecting to see "The Mafia Takes Teamwork" or something, but this also could have had to do with whatever time it was.